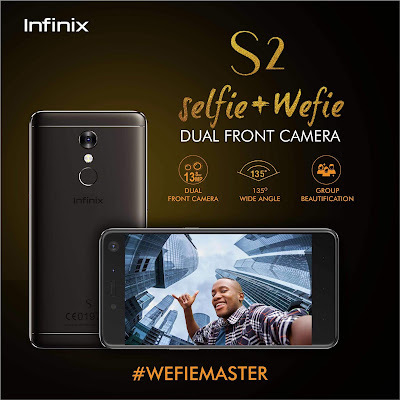 Wawuu, Infinix S2 has been unveiled, this smartphone allows you capture special memories from just a click with its super dual front facing camera and broad angle capability. The Infinix S2 is a lesser version to the S2 pro, the two device share similar spec but the difference is in their Ram and ROM , The S2 pro comes with a 3GB Ram and 32GB ROM while the S2 comes with a 2GB of Ram and 16GB ROM . 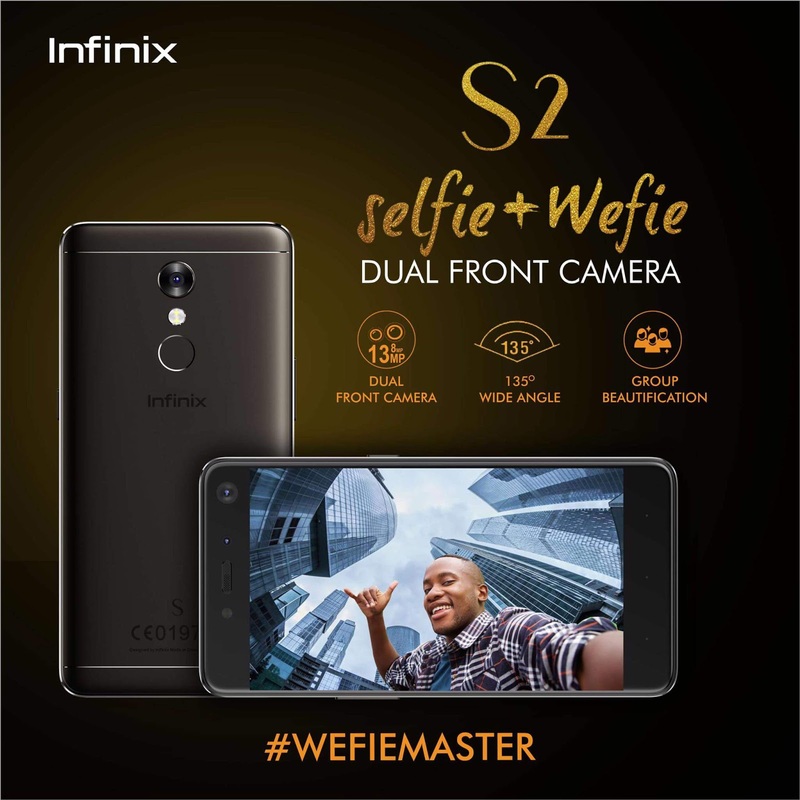 The Infinix S2 comes with a 5.2inch IPS LCD display , its main spec is its dual selfie camera which gave it the nickname (Wefie), it runs on Android 6.) (Marshmallow) out of the box. It is powered by a 64 bit octa-core 1.3GHz cortex-A53 mediatex 6573 processor. Below are more of its amazing spec. Launch Price: Nigeria: N62,000 / Kenya: Ksh 15,699. What do you think about the smartphone from infinix. ?